Crystal's Review: Though I enjoy reading memoir, Akin to the Truth doesn’t read like your typical memoir. Author, Paige Strickland does a fabulous job of storytelling and doesn’t miss a single detail or emotion as she introduces you to her life. This is not just a story about her adoption; this is an interesting and entertaining glimpse into the life of a resilient and strong author. I’m sure Strickland will find her voice again in future publications. She is a talented author and storyteller. Strickland keeps your attention through and through. It’s hard to imagine she had ever kept her adoption a secret as she vividly tells the entire tale in Akin to the Truth. The emotions conveyed in Strickland’s writing are incredibly real to the reader. For example you aren’t just reading about her fear and jubilation about having siblings, you get goose bumps and your heart rate races right along with her. Akin to the Truth is expertly written as the reader is drawn into Strickland’s real life! Strickland describes her family so expertly; she brings the characters to life with such grace and beauty (particularly her grandmothers). Such descriptions and detail brought Akin to the Truth to life for me as a reader. As I read, I found myself drawn into her story but became increasingly curious about my own family. How will my oldest (a girl) describe my relationship with my sons (the two youngest)? I look at things a little differently now and I’m more cautious about my children’s feelings and how they might view my relationship with their siblings. In particular, Strickland describes her brother as her mother’s clone and that stopped me in my tracks. As an only child, I guess I was oblivious to this emotional side of siblings. I think it’s a testament to Strickland’s writing ability being able to draw me into her book while also drawing me into my own life and looking at things a bit differently. Akin to the Truth is a memoir for those who claim they aren’t memoir enthusiasts. Stickland’s writing is beautiful and poetic. I hope to read more from her in the future. Paige Strickland and Akin to the Truth will be touring with WOW! from August 3rd through September 4th: If you are a blogger and would like to participate in this tour, please email crystal@wow-womenonwriting.com and we would love to provide you with a copy of Akin to the Truth to review for your blog. In addition, giveaway copies will also be available to one of your readers! Don’t delay, email today! 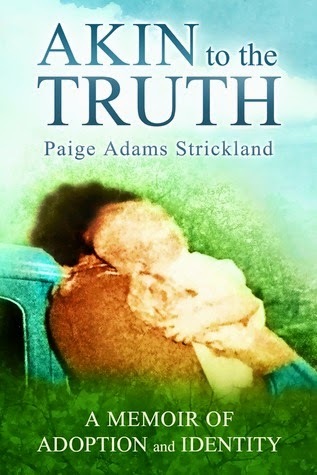 Official Description: Akin to the Truth is Paige’s own memoir about her adoption. In 1961, adoption was still one of those private and taboo topics. Not much identifying information was provided for adoptive families or for birth parents by the agencies. In Ohio, records were sealed forever. Adoptees and birth mothers were supposed to be thankful for the adoptive family and never look back. Adoptive parents thought their deal was signed and sealed. As a child and teenager, growing up adopted was like a Scarlet Letter "A" if anyone ever found out the truth. At least, that's the way author, Paige Strickland felt as she muddled through social situations and other interpersonal relations. She always loved her adoptive family, but realized she wanted not just more, but what other "regular born" people had: real roots, accurate health history and authentic family lore. She wanted freedom from shame, more dignity, authenticity and a full identity. Then, through random chance, a local TV talk show in 1987 revealed that certain records were open if you were born before 1964 in the state of Ohio, and the author's life would never be the same after that program. During her quest, (pre computer), for her identity, her adoptive father struggled with his own self image and sense of belonging, so both father and daughter embarked on separate and unique parallel missions to find what was missing in their lives. This is the story of how being adopted affected Paige growing up in the 1960s, 70s and early 80s. It shows how one adoptee has embraced and learned to view family more globally. She tells the saga of a loving but dysfunctional family of both blood and choice, trying to cope with typical and not so typical life alterations during the decades of social revolution and free love. She learns that the most fascinating family stories are discovered by those passionate enough to question and search. 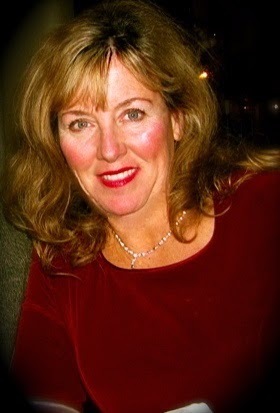 Author and Book Details: Paige Adams Strickland is a teacher and writer from Cincinnati, Ohio. She is married with two daughters. Second, thanks for this review. I am an adoptee as well and memoir is my favorite thing to read, so I would love to read Paige's book. WOW! This is a rave review. I am so glad the Lit Ladies are taking part in the blog tour!